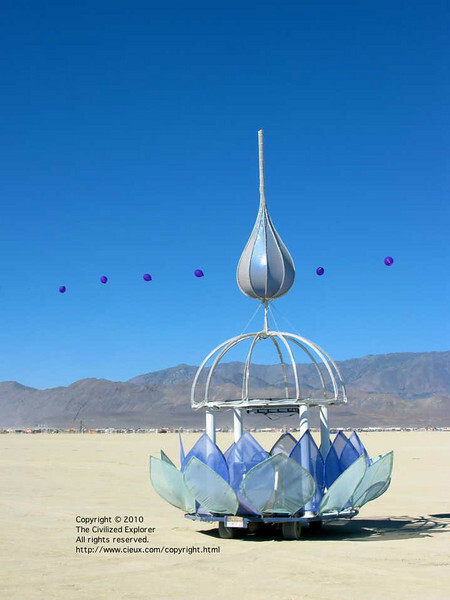 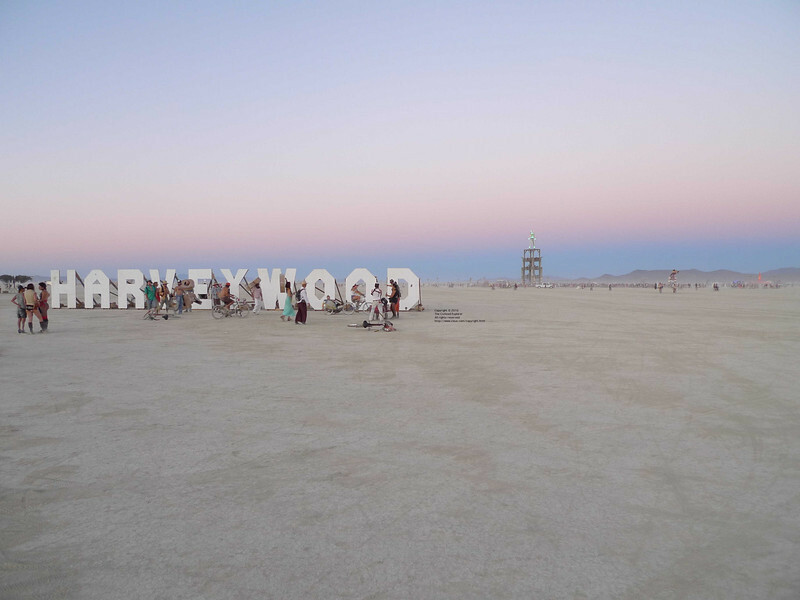 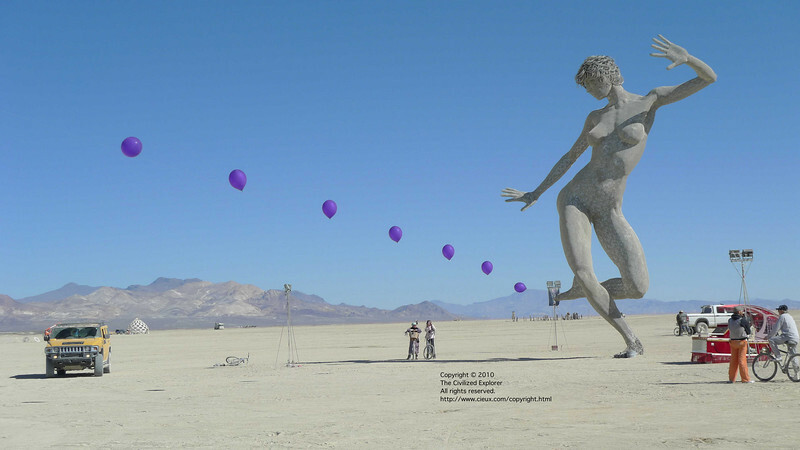 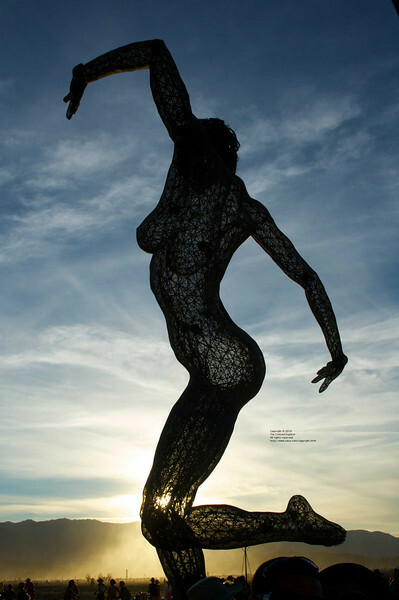 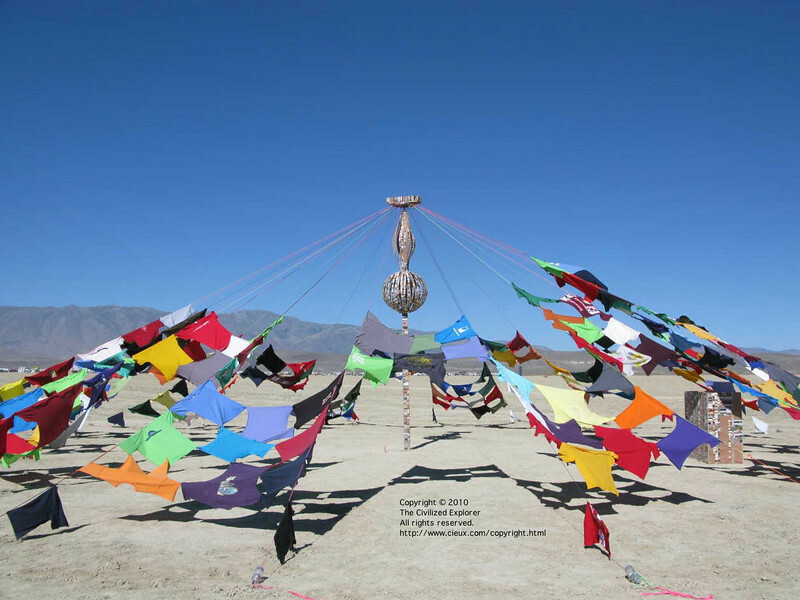 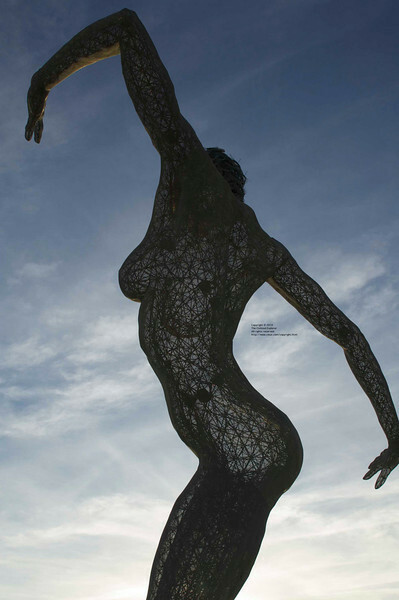 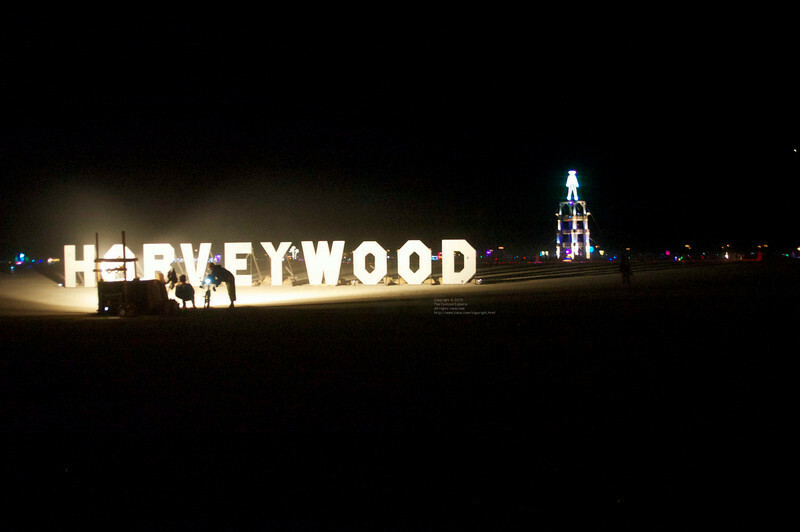 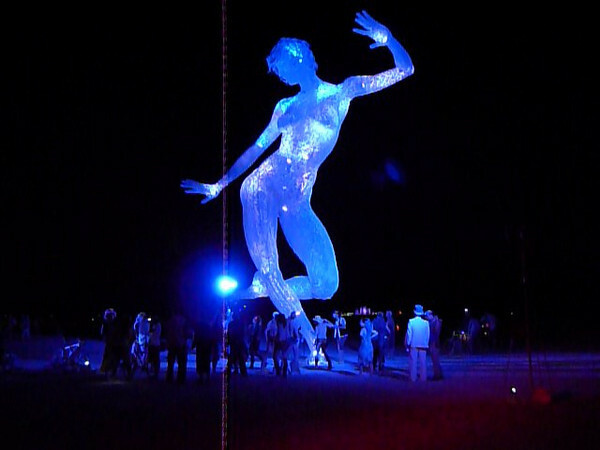 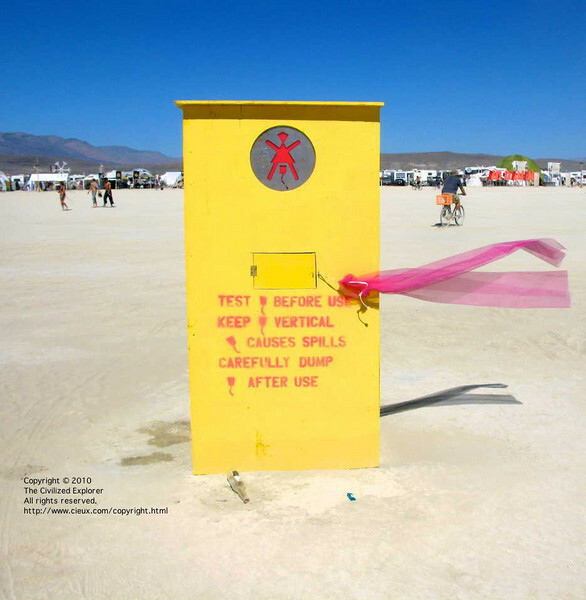 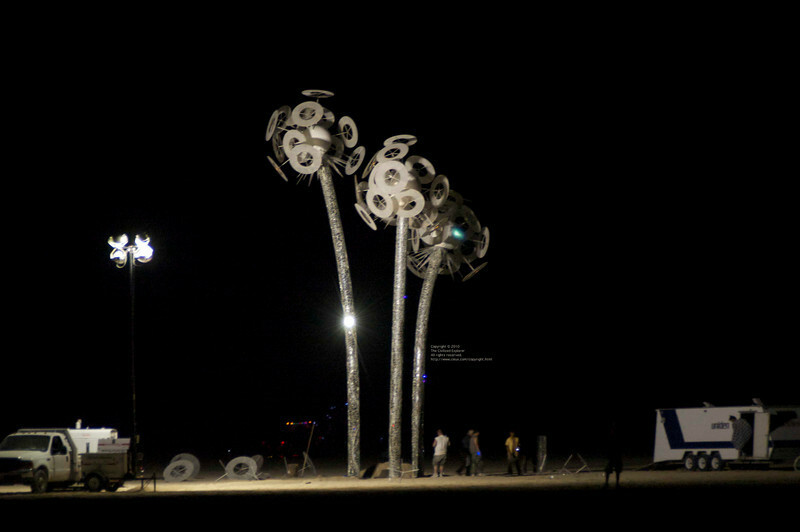 Our photos and videos of art on the playa. 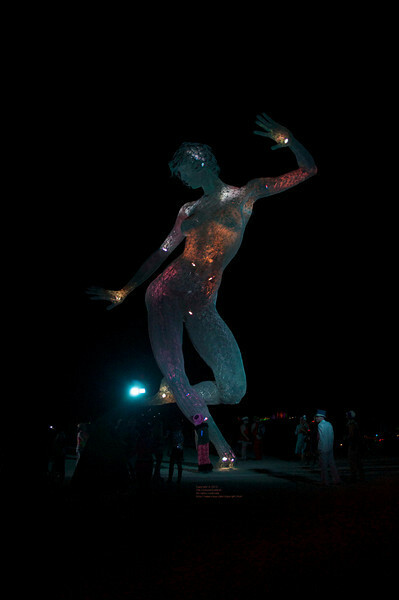 This was a striking piece, but I'm unable to locate any information about it. 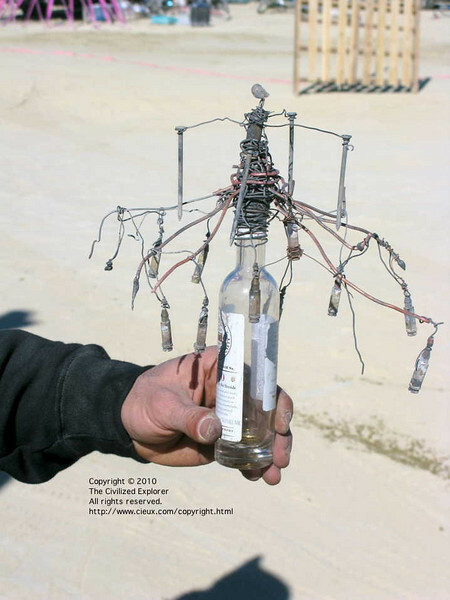 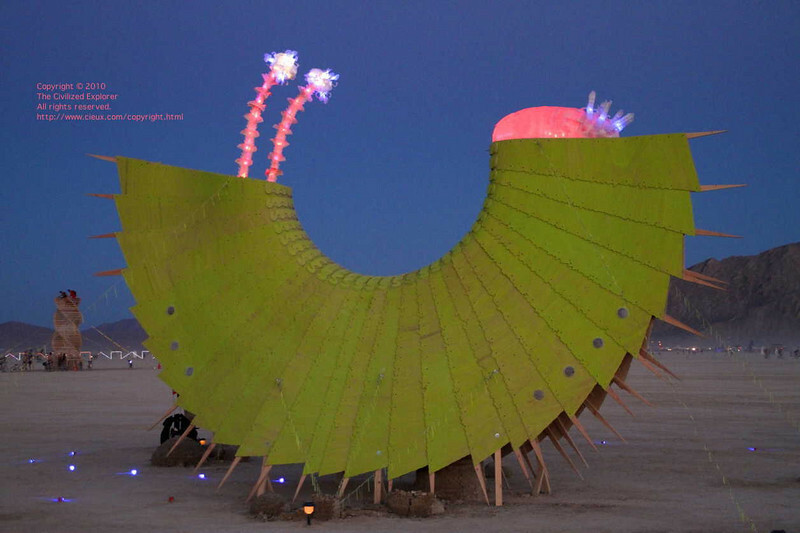 This was one of the most popular pieces on the playa, and we have lots of photos and video of it. 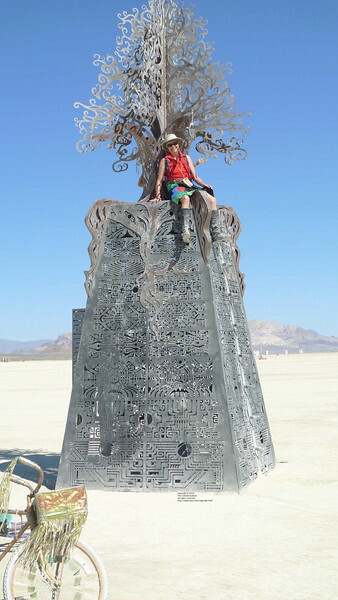 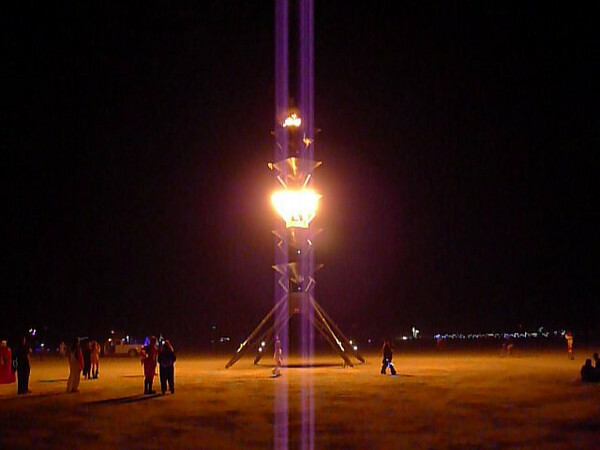 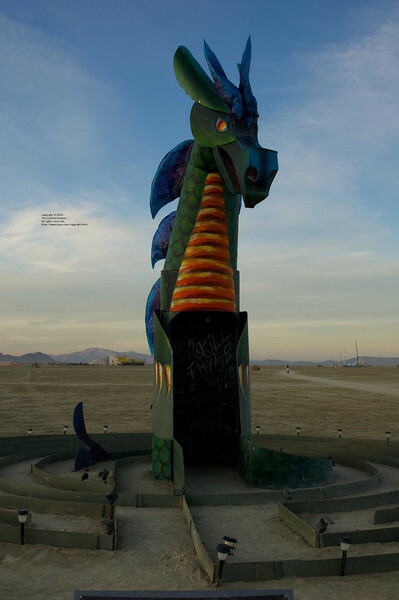 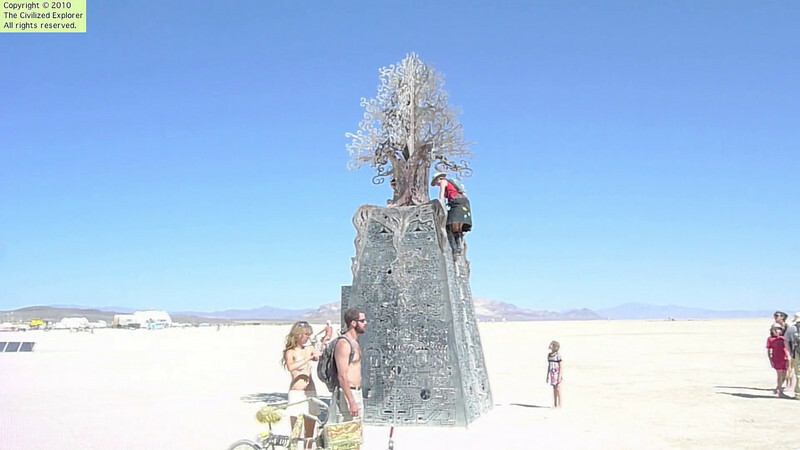 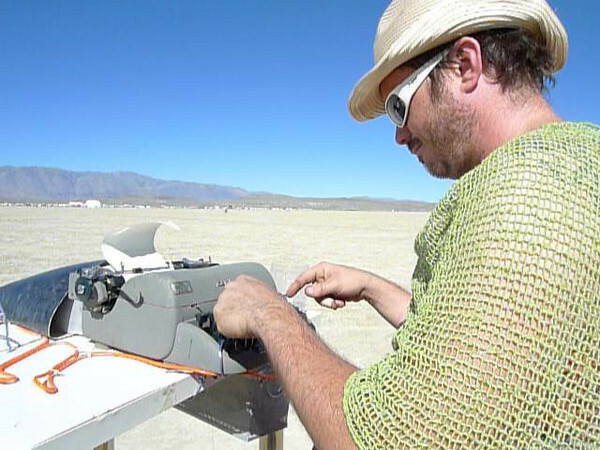 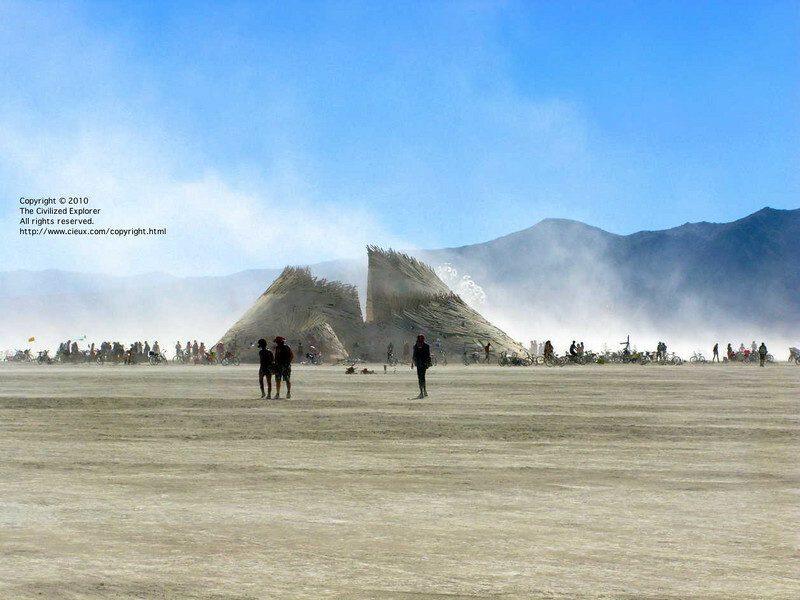 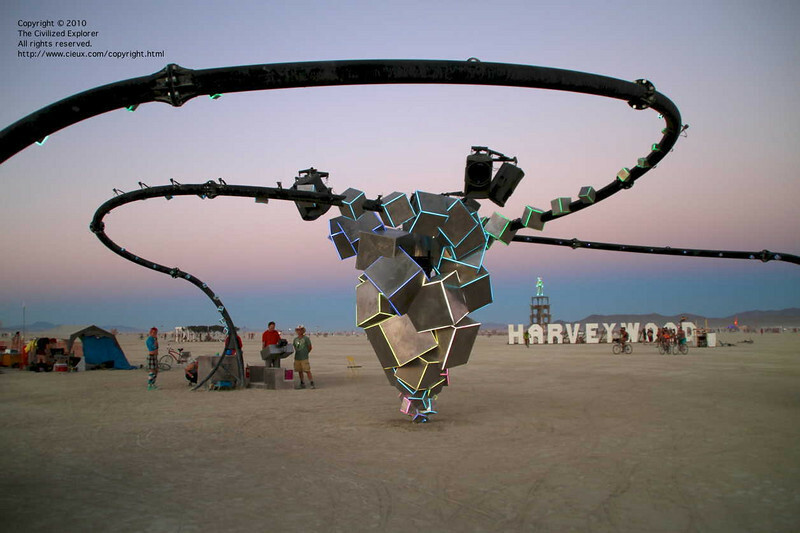 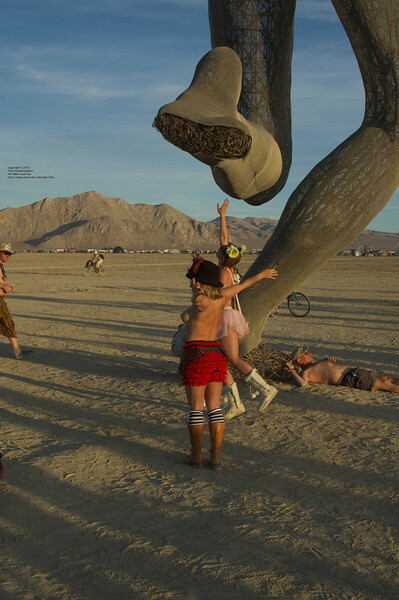 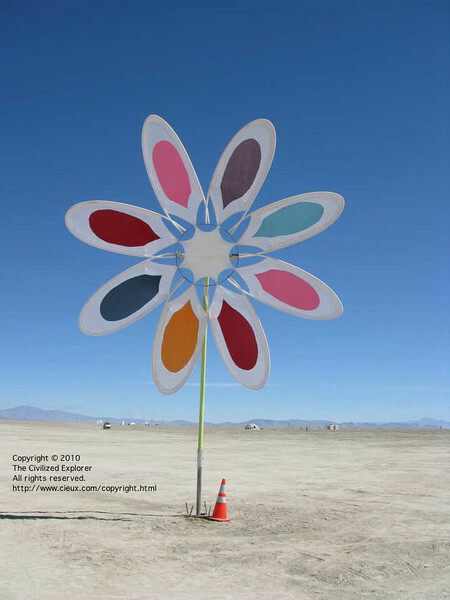 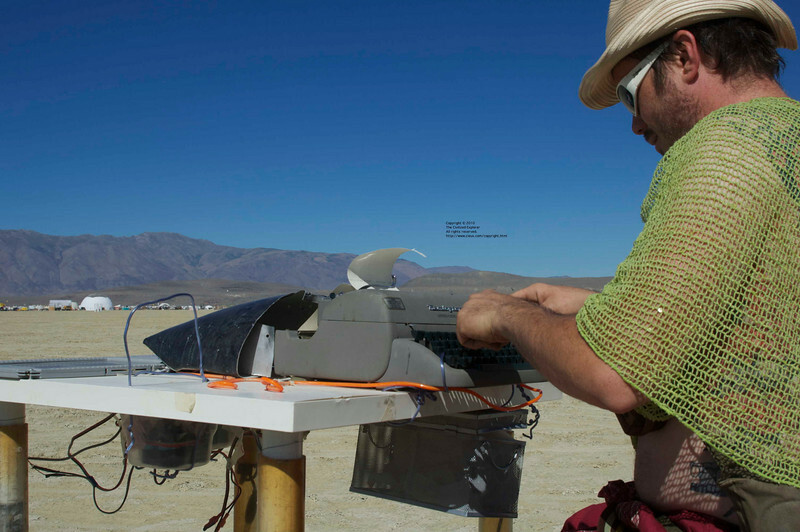 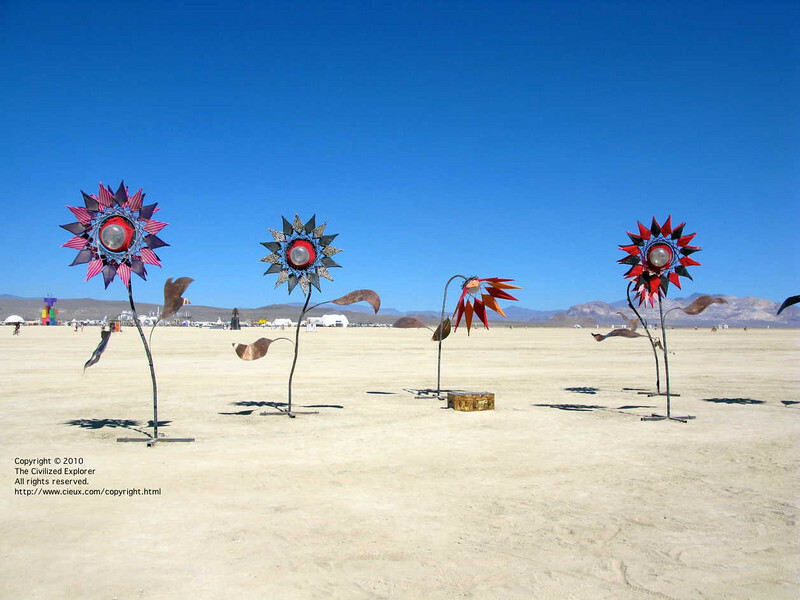 It is supported on one foot, welded to cross pieces which are buried in the playa. 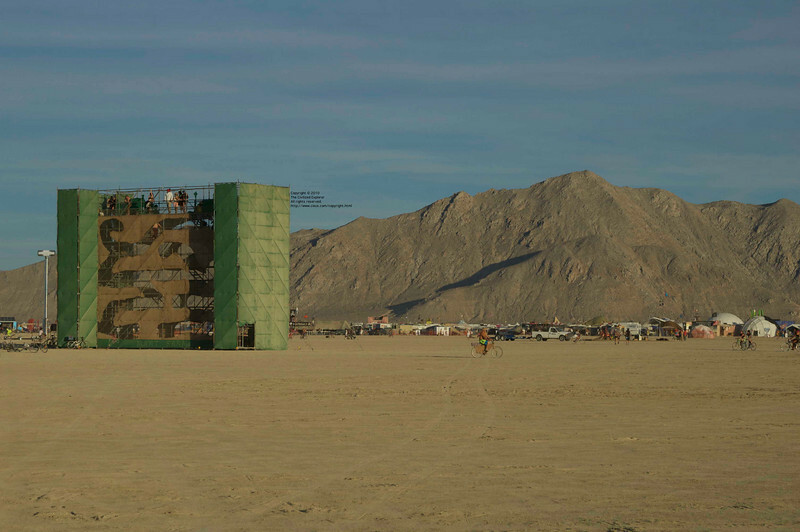 See the link to read about its construction. 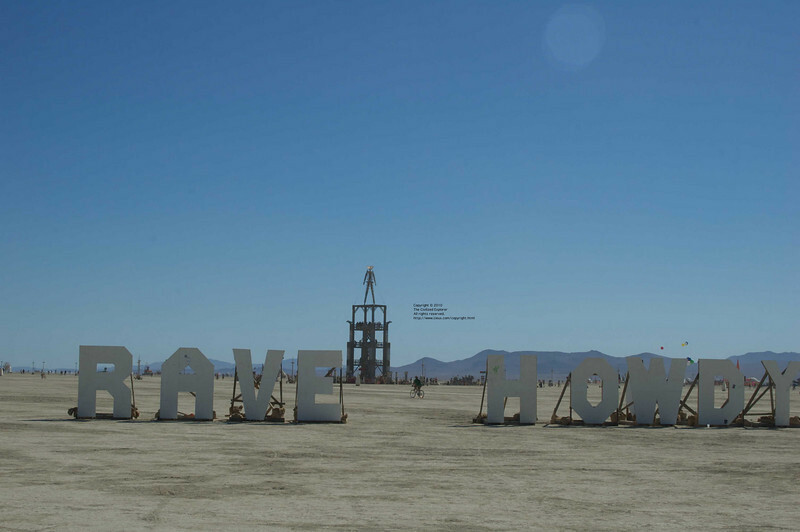 This was one of the most popular pieces on the playa, and we have lots of photos and video of it. 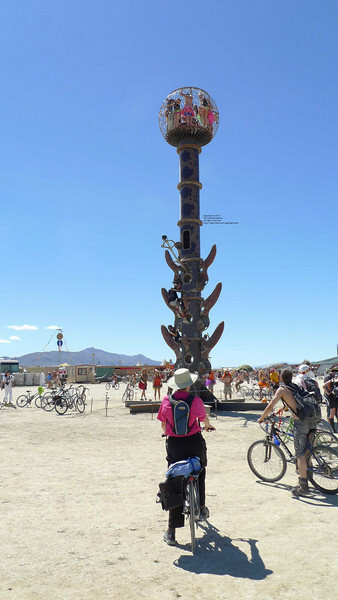 It is supported on one foot, welded to cross pieces which are buried in the playa. 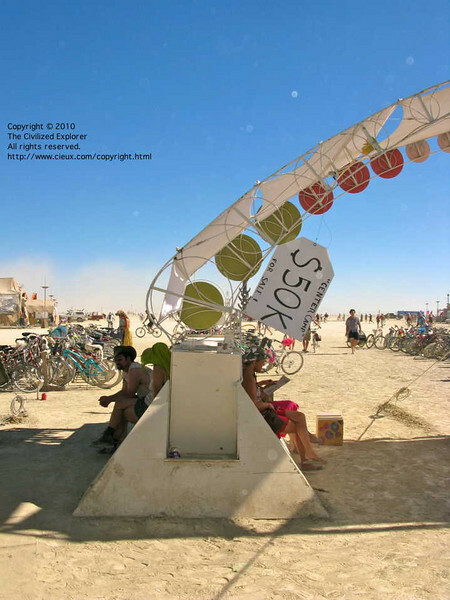 See the link to read about its construction. 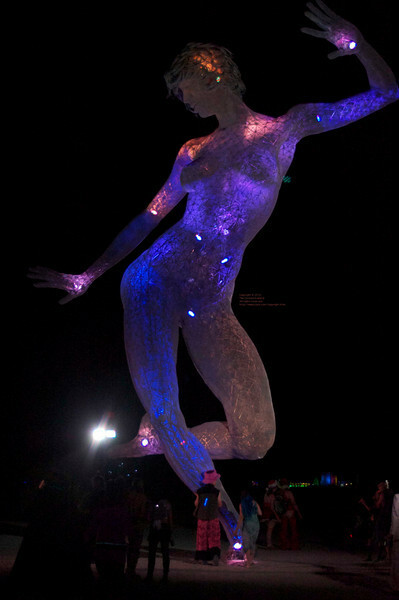 The statue was lighted internally with changing colors. 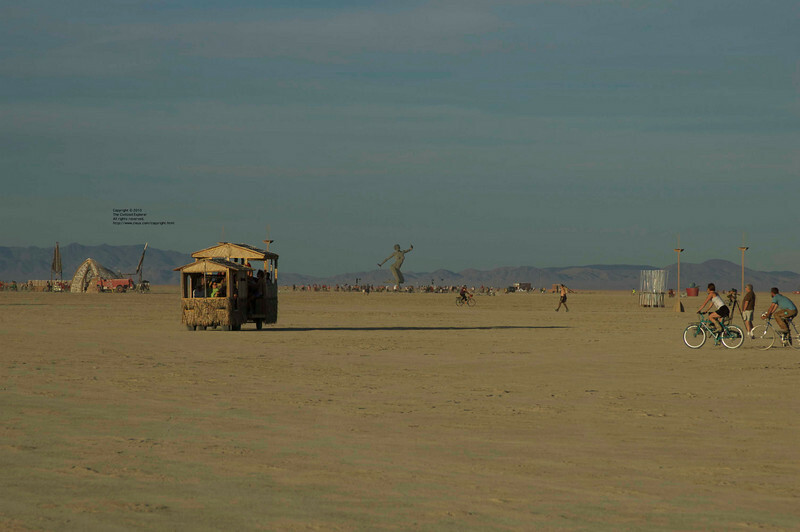 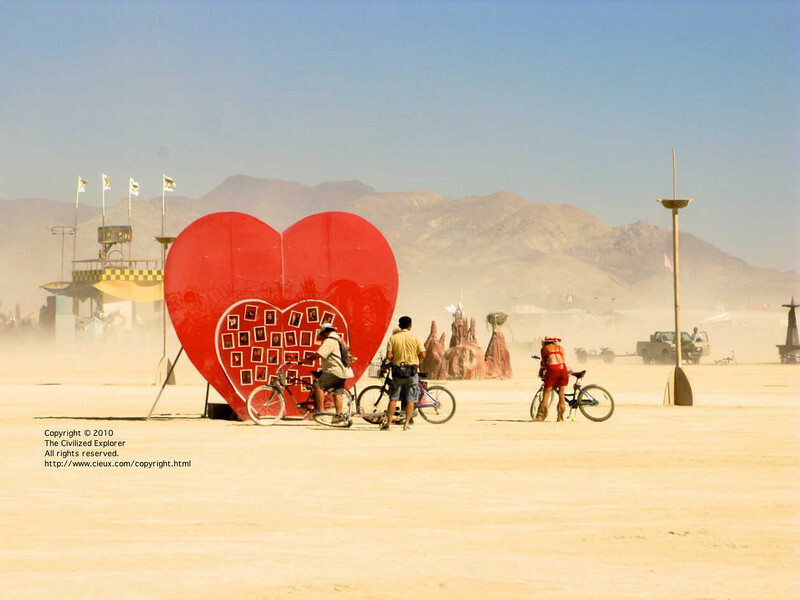 With Bliss Dance in the background, an art car trundles across the playa. 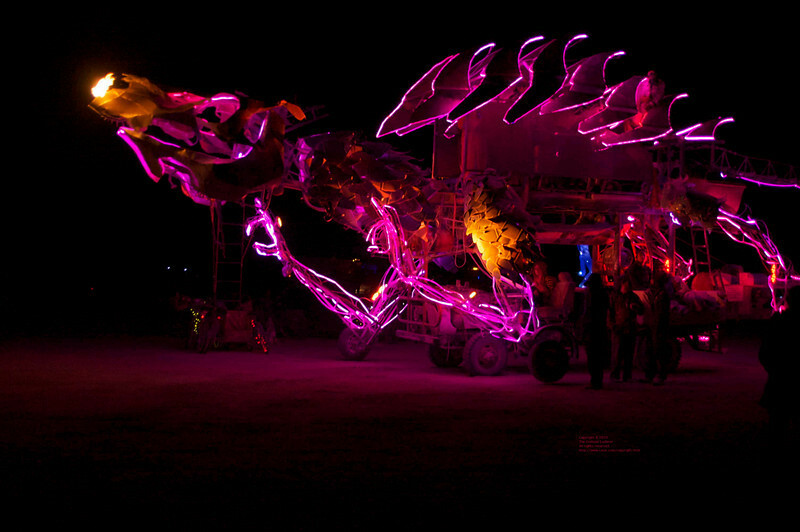 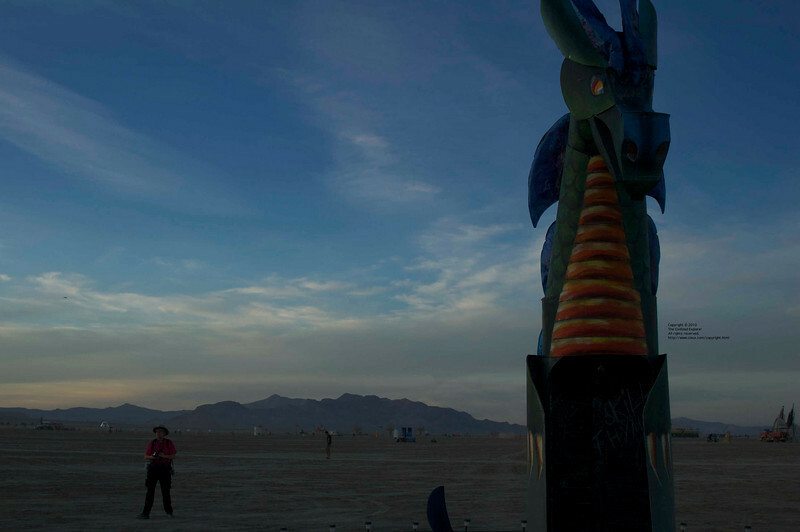 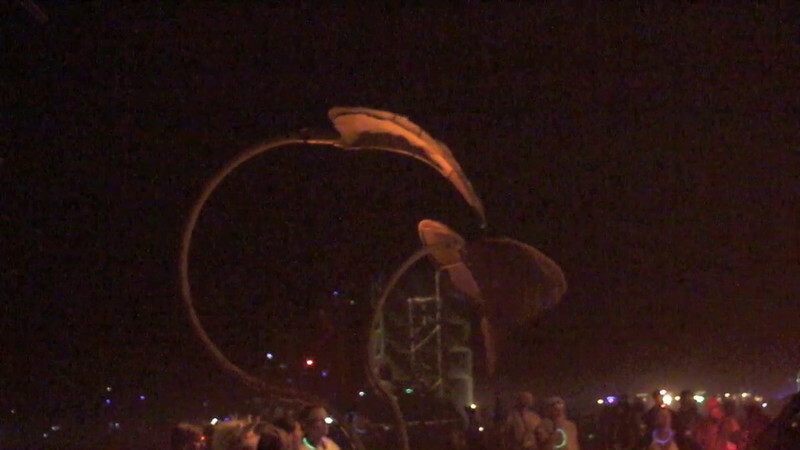 A fire-breathing dragon art car at night on the playa. 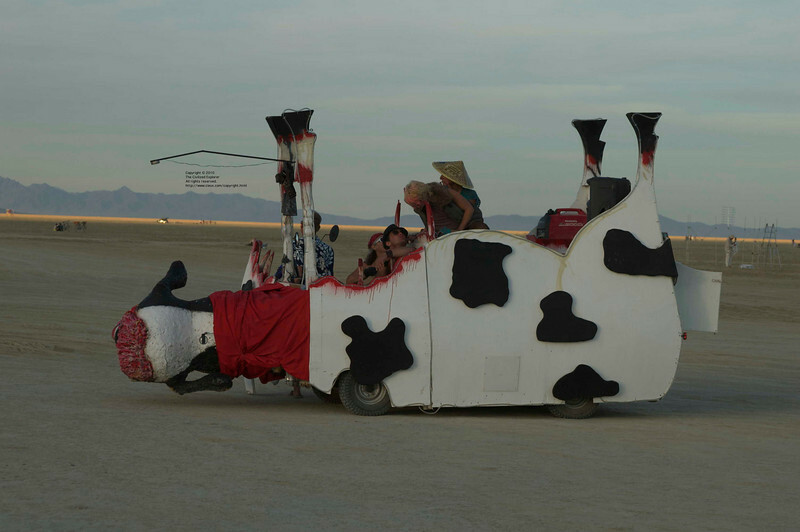 I have no information about this art car, but I thought it was great. 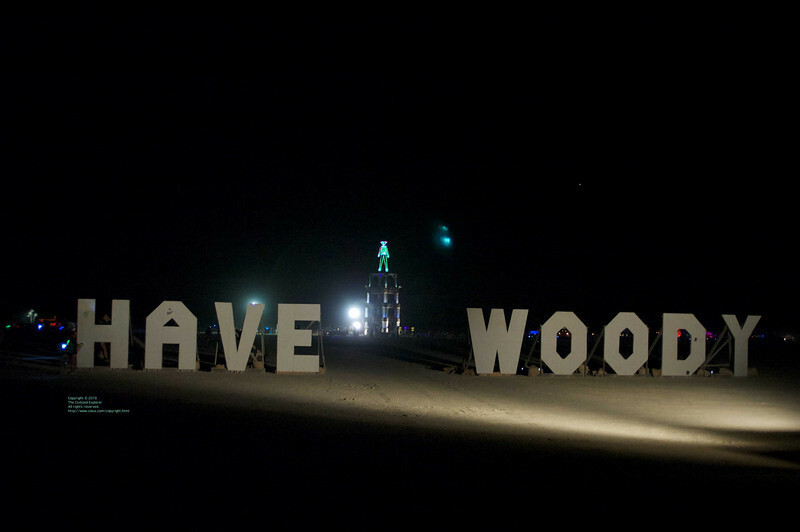 Follow the link to read the interesting story of all the pranks played with this sign. 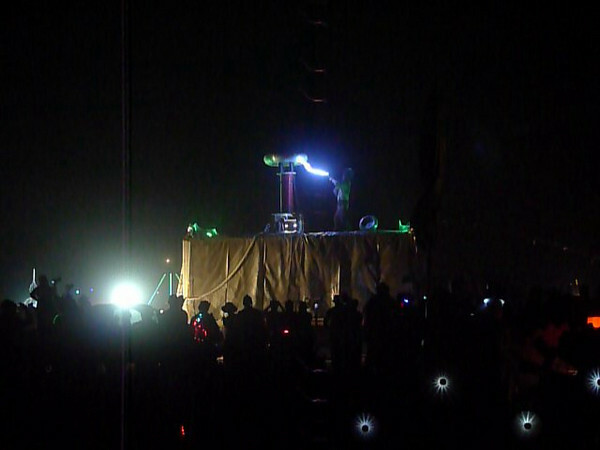 A performance by Doctor Megavolt. 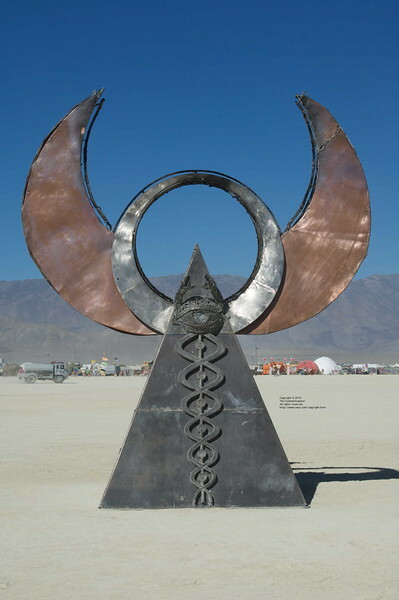 Minaret, by Bryan Tedrick, Glen Ellen, CA, was on the gate way to Center Camp. 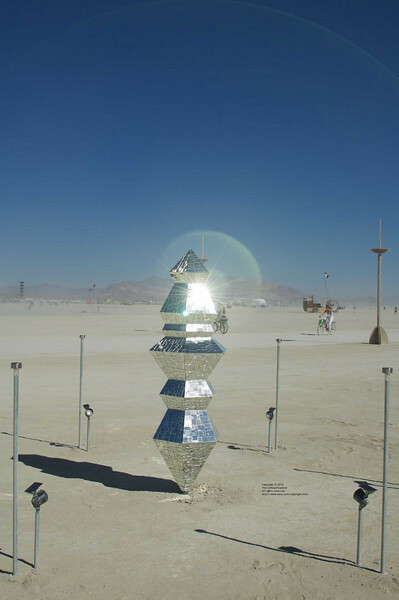 Mirrored tiles caused lens reflections. 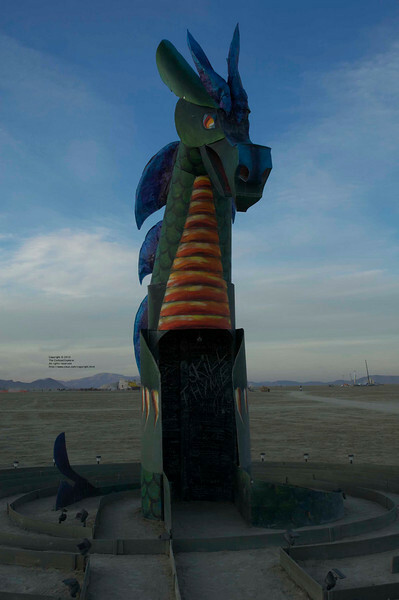 Promethian Fountain, by Wally Glenn, was at Camp 1. 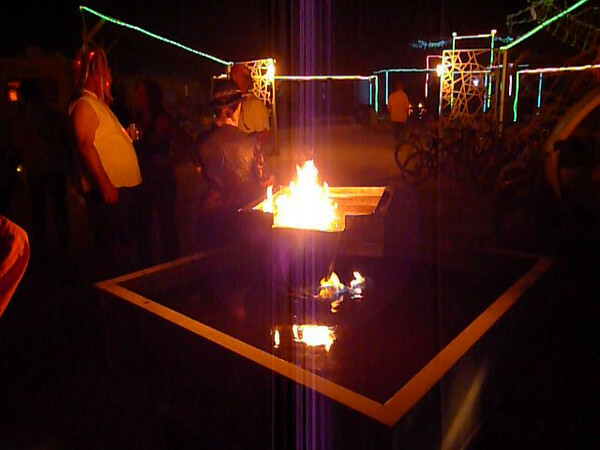 The Infinitarium, by Big Art, was a captivating and very complex art work with lots of flames.